The most common variations of card counting in blackjack are based on statistical evidence that high cards (especially aces and 10s) benefit the player more than the dealer, while the low cards, (especially 4s, 5s, and 6s) help the dealer while hurting the player. 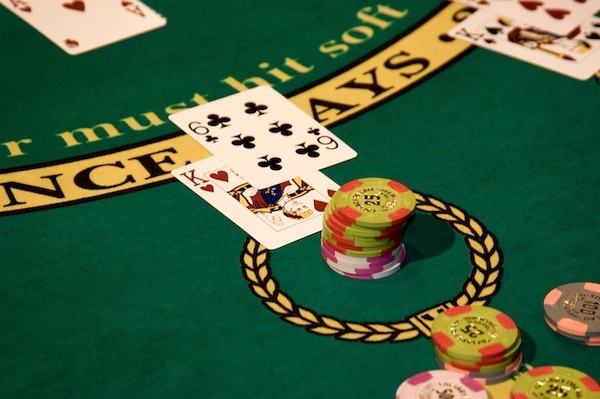 A high concentration of aces and 10s in the deck increases the player’s chances of hitting a natural Blackjack, which pays out 3:2 (unless the dealer also has blackjack). Also, when the shoe has a high concentration of 10s, players have a better chance of winning when doubling. 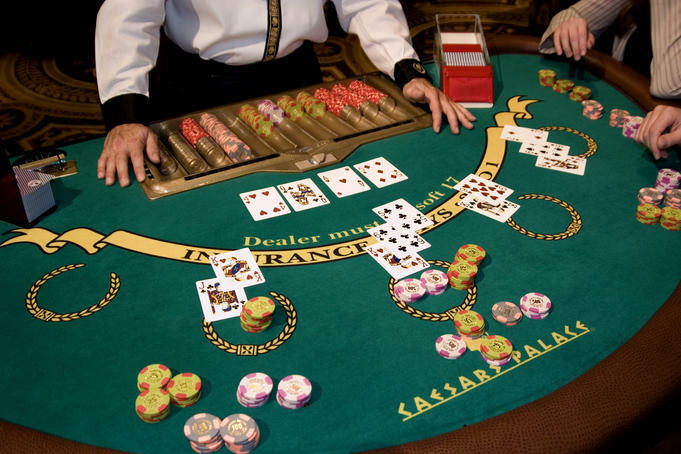 Low cards benefit the dealer, since according to blackjack rules the dealer must hit stiff hands (12-16 total) while the player has the option to hit or stand. Thus a dealer holding (12-16) will bust every time if the next card drawn is a 10, making this card essential to track when card counting. Contrary to the popular myth, card counters do not need unusual mental abilities to count cards, because they are not tracking and memorizing specific cards. Instead, card counters assign a point score to each card they see that estimates the value of that card, and then they track the sum of these values – a process called keeping a “running count.” The myth that counters keep track of every card was portrayed in the 1988 film Rain Man, in which the savant character Raymond Babbitt counts through six decks with ease and a casino employee erroneously comments that it is impossible to count six decks. It’s the stuff that gamblers’ dreams are made of. Blackjack player Don Johnson revealed in a magazine interview how he won $15 million from three Atlantic City’s casinos in about five months. Previously tightlipped about how he did it, Johnson said he played “fair and square” but he did have some favorable conditions when he played single blackjack hands of up to $100,000. 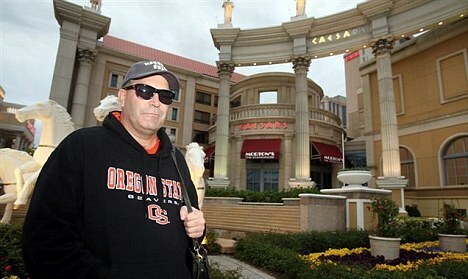 He won $6 million from the Tropicana; from the Borgata, $5 million, and he took $4 million from Caesar’s, all between December 2010 and April 2011. In an interview with, Johnson described how the casinos gave him a 20 percent discount on his losses and slightly more favorable house rules that let him break the bank. Perks for high rollers, like free hotel stays and trips on jets, are not new to gambling houses. But two years ago with revenues tanking in an unstable market, casinos became desperate to attract big spenders, to the point that they began calling to invite Johnson, a known player, to play in late 2010 with special deals. Johnson negotiated for discounts as high as 20 percent after his losses hit $500,000 at the Tropicana and then decided to play. So if he were to lose the whole $500,000 he’d only have to pay $400,000. Johnson admitted, taking some losses along the way. But Tropicana “pulled the deal” after he won a total of $5.8 million, the Borgata cut him off at $5 million, and the dealer at Caesars refused to fill the chip tray once his earnings topped $4 million, according to The Atlantic. The 49-year-old resident of Bensalem, Pa., said in the interview with The Press that he began playing blackjack 15 years ago, starting with $25 bets. His profession is gambling-related as chief executive officer of Heritage Development LLC, which develops computer-assisted wagering systems for horseracing. His prowess in blackjack, he says, has gotten him banned from some casinos. Johnson said he did not count cards, which is considered cheating and will get you banned from some casinos, but not illegal. Blackjack players with a trained memory and enough acuity can keep track of which cards have been played and which are still in the deck, thereby maximizing their chances for beating the house. Las Vegas has first class shopping, dining and nightlife. But for serious gamblers, Macau holds all the aces. The city’s $45 billion casino industry is now roughly seven times bigger than Vegas, and eye-popping growth has attracted the biggest players, including Las Vegas Sands and Wynn Resorts. Gambling in the former Portuguese outpost has been fueled by a relaxation of regulations and a Chinese populace eager to try their luck. Gamblers in Macau are not messing around. Stakes at top casinos have been rising for years and it’s nearly impossible to find a table with a minimum bet of less than $65. 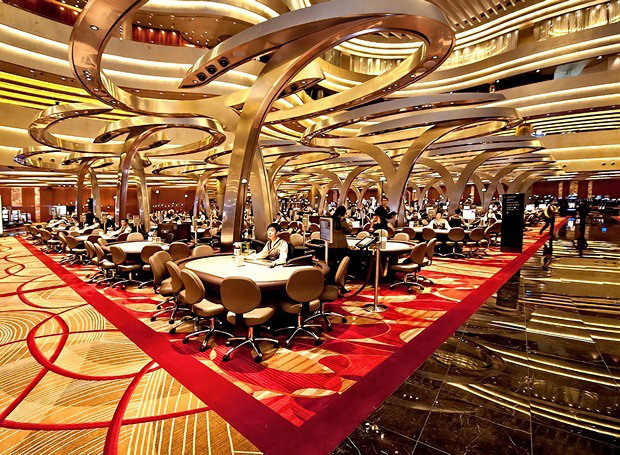 The average minimum bet at a non-VIP table is now at least $270, according to Aaron Fischer, the regional head of consumer and gaming research at CLSA. At Galaxy Macau, it’s even higher: $320. The mind-boggling stakes leave Macau’s international competitors in the dust. But the runaway bets could become a problem, Fischer says. Some gamblers are burning through their stacks of cash too quickly. “It might be fun to lose $1,000 in two to three hours, but it is definitely not enjoyable to lose your entire gaming budget in one hand of Baccarat,” he said. Macau is the only place in China where gambling is legal, making it a dream destination for millions of Chinese tourists. The city of 600,000 is almost entirely dependent on gambling. When the industry thrives, tax revenue jumps and residents — most of whom are employed in the business — receive payouts from the government. The boom started in earnest in 2002, when restrictions on foreign operators were lifted. But foreign casinos owners must cater to Chinese preferences. And that means baccarat instead of poker or blackjack. Casino stocks have taken a beating in recent months following a rare slide in casino revenue. Analysts say the poor performance is due to Beijing’s campaign against corruption and lavish spending, a reduction in tourist visas and a crackdown on junket operators who recruit gamblers. There is still huge potential in the territory, however. Hotels are planning to increase capacity by 70% over the next few years. With the VIP market saturated, much of the growth is likely to come from more modest players. “Macau is merely scratching the surface now, with ample pent-up demand to be captured by new casinos opening from 2015 onwards,” Fischer”. So you’ve got a good grasp of basic blackjack strategy-you’ve studies up on your odds and strategy charts, you understand the rules of blackjack like the back of your hand and you understand how blackjack tournaments work. Where do you go from here? If you want to increase your odds of winning in the next tournament you play in then you will have to learn some more advanced blackjack tournament strategies. One of the most important parts of advanced strategy is to understand that you are not playing against the dealer-you are playing against the other players. Therefore, focus on beating the other players. Your knowledge of basic strategy is enough to help you decide whether to hit, stand, split or double down. Focus your attention on maximizing your stack of chips. A lot of blackjack players make the mistake of playing too conservatively early on. Sure, you don’t want to lose all your chips in one fell swoop. However, if you don’t build your bankroll enough you won’t make it to the next round and that’s almost as bad as risking your entire stack and losing. Make sure to pay attention to the other players at your table. See how big their stacks are and what kind of bets they are placing. Then, place your bets accordingly. If possible, try to avoid going all in and betting everything at once. However, if that’s the only thing that will get you to the next round then take the risk. Better to try and fail than not to try at all and be eliminated at the end of the round with a small stack of chips. You can adjust your betting patterns based on what’s going on with the other players at the table. That’s called risk management. For instance, if you are well ahead of everyone else you can take it easy. You have no need to take big risks that could result in a big hit to your bankroll until other players are approaching you. However, if you are falling behind in the chip count you should swing ahead with a big bet in the hopes of making up the difference between your bankroll and the bankrolls of your competitors. By learning to manage your money and your risk, in addition to your basic blackjack tournament strategies, you can greatly increase your odds of winning in tournament play. “The first year I played, we returned 154 percent to our investors. That’s after paying off expenses. 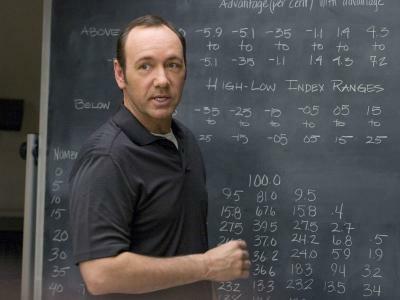 You try and do that on Wall Street.” – Jeff Ma, member of the MIT Blackjack Team. How did a bunch of college kids from the Massachusetts Institute of Technology (MIT) and Harvard University become the most feared blackjack team on earth in the 1980’s and ’90’s. Individual players on that blackjack card counting squad routinely made $100,000 to $180,000 per session in profits, and Las Vegas treated them like royalty. That is, until they found out these fresh faced blackjack bandits were using an intricate card counting system and confederates to uncover the most favorable circumstances for a big bet. 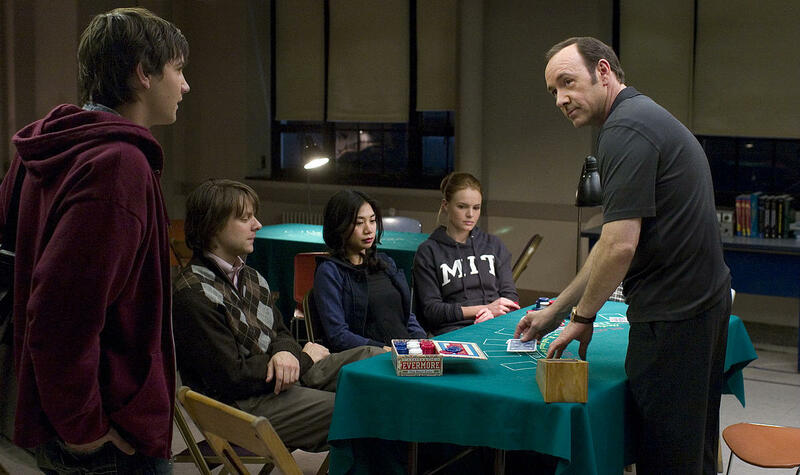 While blackjack card counting itself by using your brain is not illegal, the MIT team which has been the subject of films like the documentary “Breaking Vegas” and the more recent Hollywood production “21” sometimes went above and beyond simply using great math skills, and paid the price. But not until after winning tens of millions of dollars at blackjack and bringing Vegas to its knees. And if you think the claims above made by Jeff Ma of 154% returns are a little outlandish, they actually started off much better than that. Bill Kaplan is a 1980 Harvard MBA graduate who had run a very successful blackjack team out of Las Vegas in the late 1970’s, and in 1977 used a blackjack card counting strategy to generate a 35X rate of return over a nine-month period (that’s turning $1,000 into $36,000 in 9 months). In 1980, Kaplan headed up a team of MIT and Harvard students that hit Las Vegas using formal management procedures and approaching a blackjack card counting and betting system as a business. On August 1, 1980 that original MIT team began with a stake of $89,000, with player names like Massar, Jonathan, Goose, and Big Dave doubling the original stakes in less than 10 weeks. An investor prospectus had estimated profits of $170 per hour, and actual play delivered realized profits of $162.50 per hour. Mostly undergraduates, the MIT team, as it came to be known, earned across-the-board an average of over $80 an hour while investors enjoyed annualized profits of 250%. All this while Las Vegas showered the young players with free rooms, lavish suites and other Sin City comps. Andy Bloch, now a professional poker player that holds two electrical engineering degrees from MIT and a Juris Doctorate from Harvard Law School, was one of the MIT blackjack members. He has claimed “tens of millions” of dollars won by his fellow teammates and subsequent team members, and it is hard to argue with that estimate. And all those millions started to draw attention. Henry Houh, at the time a grad student at MIT, noticed his office-mate lugging around thousands of dollars of casino chips at work. Saddled with massive debt, he eagerly joined the card counting team, stating, “It was great fun.” With plenty of “crazy stories” of partying and staying in $1,000 a night suites complements of Las Vegas casinos, Houh also said that the MIT blackjack team was the reason it took him 13 years to finish school. But these brilliant blackjack brains did not simply decide to get together and then hit Las Vegas. The mysterious Mister M and Kaplan put potential blackjack team candidates through grueling training sessions. A fully trained card counter then had to undergo a “trial by fire” final exam by playing through 8 six-deck shoes without mistakes, all while being lambasted with loud noises, music and other distractions typical to the average casino. 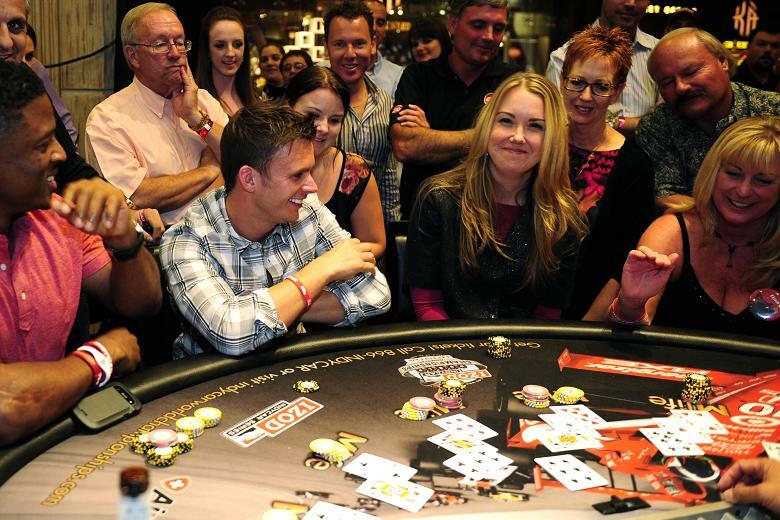 Players learned to stagger their betting patterns as to disguise the fact that they were counting cards and waiting for the perfect scenario. They would then make a massive bet when they had an extreme advantage, and while losses naturally occurred, the profits were far greater. Advanced techniques like ace tracking and shuffle tracking were also employed, but John Chang, an MIT undergraduate that joined the team in late 1980, stated that the most consistent profits came from straight blackjack card counting. Playing throughout the ’80s, and growing to as many as 35 players in 1984, a full 22 different partnerships composed MIT blackjack teams from 1979 through 1989. A total of 70 people played at one time or another in some capacity, either as card counters, “Big Players”, or in other supporting roles. Many times a player would count cards at a blackjack table while placing small bets without wavering his play. When the table was right for the picking, that player would signal someone sitting at a nearby bar or appearing to simply be watching, and that Big Player would swoop into the table for a single large bet, collect and leave. Incredibly enough, every single MIT blackjack team was successful during that tenure, paying in some cases over 300% per year to investors. In 1992 and ’93, MIT blackjack team members Bill Kaplan, J.P. Massar and John Chang formed Strategic Investments as a limited partnership to run the blackjack card counting enterprise. Through the early and mid-90s, the MIT team grew to nearly 80 players, with 30 players playing simultaneously at different casinos around the world. While blackjack teams consistently come and go, the MIT blackjack card counting team of the 1980s and ’90s will always live on in memory as one of the most brash and successful blackjack teams of all-time. There are exactly 52 factorial (expressed in shorthand as 52!) possible orderings of the cards in a 52 card deck. In other words there are 52 × 51 × 50 × 49 × ··· × 4 × 3 × 2 × 1 possible combinations of card sequence. This is approximately 8×1067 possible orderings or specifically 80,658,175,170,943,878,571,660,636,856,403,766,975,289,505,440,883,277,824,000,000,000,000. The magnitude of this number means that it is exceedingly improbable that two randomly selected, truly randomized decks will be the same. However, while the exact sequence of all cards in a randomized deck is unpredictable, it may be possible to make some probabilistic predictions about a deck that is not sufficiently randomized. The number of shuffles which are sufficient for a “good” level of randomness is a fundamental question, and the answer depends on the type of shuffle and the measure of “good enough randomness”, which in turn depends on the game in question. Broadly, for most games, four to seven good riffle shuffles (GRS) are both necessary and sufficient: for unsuited games such as blackjack, four GRSs are sufficient, while for suited games with strict conditions on randomness, seven GRSs are necessary. There are some games, however, for which even seven GRSs are insufficient. In practice the number of shuffles required depends both on the quality of the shuffle and how significant non-randomness is, particularly how good the people playing are at noticing and using non-randomness. Two to four shuffles is good enough for casual play. But in club play, good bridge players take advantage of non-randomness after four shuffles, and top blackjack players supposedly track aces through the deck; this is known as “ace tracking”, or more generally, as “shuffle tracking”. Following early research at Bell Labs, which was abandoned in 1955, the question of how many shuffles was required remained open until 1990, when it was convincingly solved as seven shuffles, as elaborated below. Some results preceded this, and refinements have continued since. A leading figure in the mathematics of shuffling is mathematician and magician Persi Diaconis, who began studying the question around 1970, and has authored many papers in the 1980s, 1990s, and 2000s on the subject with numerous co-authors. Most famous is (Bayer & Diaconis 1992), co-authored with mathematician Dave Bayer, which analyzed the Gilbert-Shannon-Reeds model of random riffle shuffling and concluded that the deck did not start to become random until five good riffle shuffles, and was truly random after seven, in the precise sense of variation distance described in Markov chain mixing timae; of course, you would need more shuffles if your shuffling technique is poor.Recently, the work of Trefethen et al. has questioned some of Diaconis’ results, concluding that six shuffles are enough. The difference hinges on how each measured the randomness of the deck. Diaconis used a very sensitive test of randomness, and therefore needed to shuffle more. Even more sensitive measures exist, and the question of what measure is best for specific card games is still open. 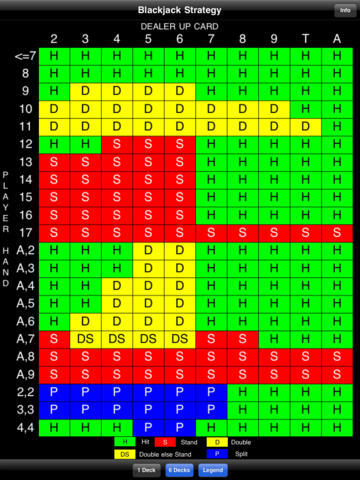 Diaconis released a response indicating that you only need four shuffles for un-suited games such as blackjack. On the other hand variation distance may be too forgiving a measure and seven riffle shuffles may be many too few. For example, seven shuffles of a new deck leaves an 81% probability of winning New Age Solitaire where the probability is 50% with a uniform random deck. One sensitive test for randomness uses a standard deck without the jokers divided into suits with two suits in ascending order from ace to king, and the other two suits in reverse. (Many decks already come ordered this way when new.) After shuffling, the measure of randomness is the number of rising sequences that are left in each suit.